TIFF files are great for working with on a single file level but when it comes to processing them in bulk things can get a little tricky. If you are looking to do something theoretically simple like merge TIFFs or merge multiple TIFF files to a single image, it can end up chewing through a surprisingly huge amount of your valuable time. Rather than chugging through the options in your favourite graphics package when it comes to merging TIFF files - and going through the inevitable frustration of watching your machine hang - it would be far easier to let a dedicated tool take care of the job. Something lightweight and simple to use that can handle bulk files with ease. Step forward Tiff Combine! 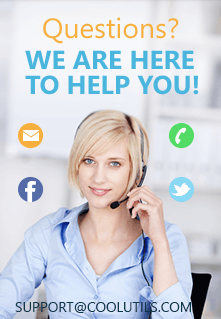 It is a powerful TIFF-orientated software solution that will blaze through those otherwise frustrating merging problems with ease. Rather than having to step through folders by hand and constantly hop in and out of different programs when looking to merge, you can handle everything easily and quickly from one central place. You are free to resize, rotate and crop TIFF files directly within Tiff Combine and take advantage of intelligent combination options such as partial filename recognition e.g. filenames with "invoice" in the title. 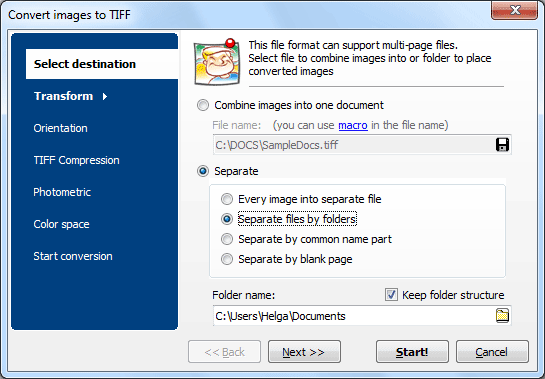 In addition to a range of PDF output options, Tiff Combine also gives you total control over TIFF-specific options such as compression and colour space. Users more comfortable with a graphical user interface will appreciate how simple we have made merging TIFF files. All common tasks can be accomplished with just a few clicks. Those who prefer the power of a programmatic approach will be impressed by Tiff Combine's full support for being called directly via the command line. A server-based variation with support for ActiveX is also available in the form of TiffCombineX for those looking to offer the functionality over a network or even integrate it into their own applications. Tiff Combine is just one of the huge range of conversion solutions we have made available to satisfied customers worldwide over the last decade. As with all of our products, we are so convinced of its quality that we are willing to let you take it for a test run at no charge. Download a free thirty-day trial version of Tiff Combine today and discover its speed and power for yourself!